Don’t just eat Peeps straight from the package! Here are 20 Ways to Use Peeps. These are all fun and delicious ways that will be a hit at any gathering. I’m so ready for spring! The sun is starting to stay out a little longer, and seeing all of the Easter candy and decor on the store shelves has me ready for nice spring weather! Peeps are a token must have during Easter. However they aren’t just for eating straight out of the bag! 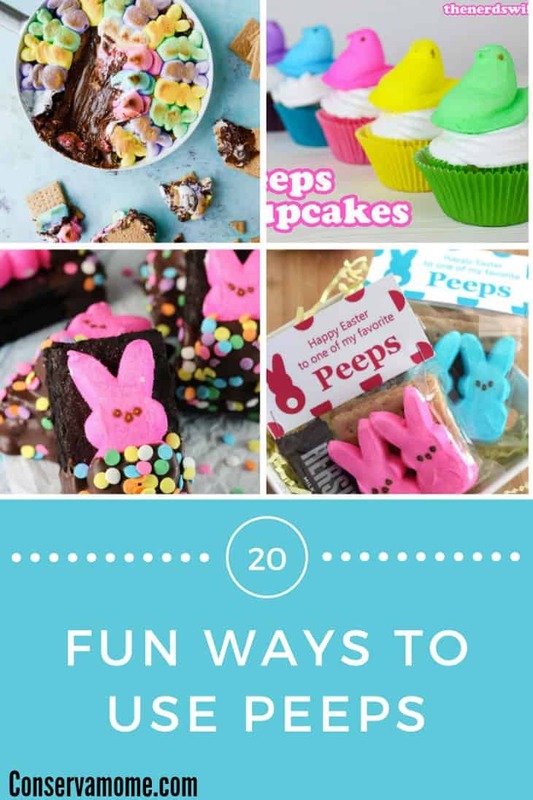 Here is a fun round up of 20 Fun ways to use Peeps. There is something so wonderful about these little pastel, springy candies that just say spring to me whether you like to eat them straight out of the package or as part of a treat chances are these are a staple in most Easter basket. So weather you have lots of them leftover from Easter, or you’re just looking for a way to use peeps, bring a little spring to your home with these fun uses. 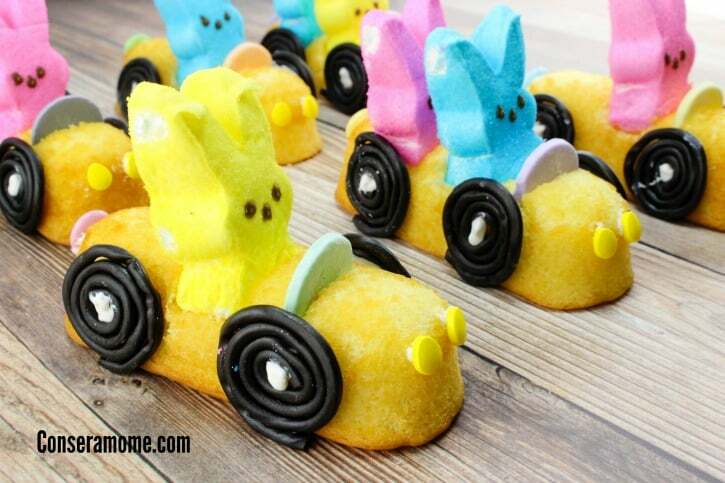 So check out some fun ways to incorporate Peeps to a fun dessert. These are all fun and easy ways to use this fun Easter Treat and most important put a smile on everyone’s face. Looking for other fun Easter Treats. Head over here and see another fun round of 20 Fun Easter Treat Ideas. These all look yummy especially the Chocolate peanut butter skillet s’mores. These look so good especially the chocolate peanut butter skillet s’mores. SO fun!! I love how colorful and cute peeps are!! My son loves how they taste!! We’ll have to whip up one of these great recipes! So many clever and interesting ideas that would be fun to do. Nice way to decorate for the Easter holiday. Thank you for sharing these different ways to use peeps. My grandkids love these peeps. i used to like these as a kid, even after easter. maybe my kids will enjoy them too.